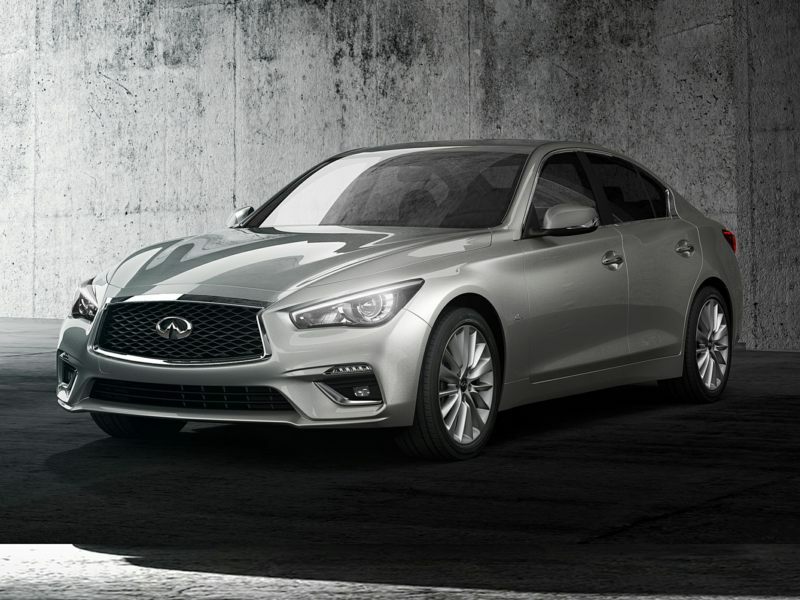 The 2019 Infiniti Q50 is a 4-door, 5-seat Sedan, available in 8 trims, ranging from the 2.0t PURE RWD to the 3.0t LUXE AWD. Upon introduction, the $35,550 2.0t PURE RWD is equipped with a standard 2.0L, 4-cylinder, engine that achieves 23-mpg in the city and 30-mpg on the highway. an Automatic transmission is standard. The $40,300 3.0t LUXE AWD is equipped with a standard 3.0L, 6-cylinder, engine that achieves 19-mpg in the city and 27-mpg on the highway. an Automatic transmission is standard. Our portfolio of new Infiniti images is one of the most comprehensive you’ll find. Nissan created Infiniti from scratch back in 1985, when the company’s executive team decided to develop a new performance-oriented luxury brand for the U.S. market. More than just a new kind of car for Nissan, the goal of Infiniti was to also introduce a new ethos when it came to the quality of a customer’s purchase and ownership experiences. And while a number of initial missteps hampered the early growth of the brand, with the introduction of the 2003 Infiniti G35 the marque really took off. Based on Nissan’s front-midships platform (shared with the Nissan 350Z), the G35 was in essence a front mid-engine sports sedan. Buyers liked its neutral handling, strong performance, and exhilarating exhaust note. Once enthusiast magazines declared it a reasonable substitute for BMW’s 3 Series, the car sold extremely well. A G35 coupe followed, aligning the Infiniti even more closely with the trajectory of the BMW 3 Series product strategy. The G35 Coupe was basically a more luxurious Nissan 350Z, so it performed extremely well. These developments finally brought droves of shoppers to the Infiniti brand. As you’ll see in this portfolio of new Infiniti photos, the cars were dynamically styled too. Once buyers discovered the original Infiniti customer service philosophy was still intact (which was something completely new to most of the buyers brought in by the G cars) the deals were sealed.